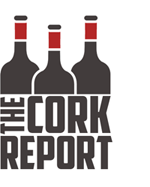 The Cork Report accepts direct advertising. If you’re interested in reaching our wine-obsessed readership, email me at [email protected]. Hopefully if everyone complies with these guidelines I’ll be able to keep comments running the way the are today, un-moderated. Also please keep in mind that we are not responsible for comments that we did not author.